DORNEY COURT (Nr Windsor) - c1440. Lived in by the present family for over 450 years. ETON COLLEGE (Windsor). 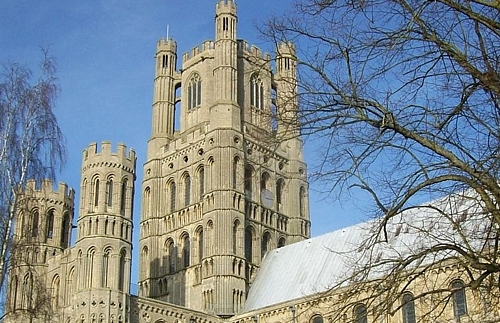 Founded 1440 by Henry VI. Open to visitors during summer season. 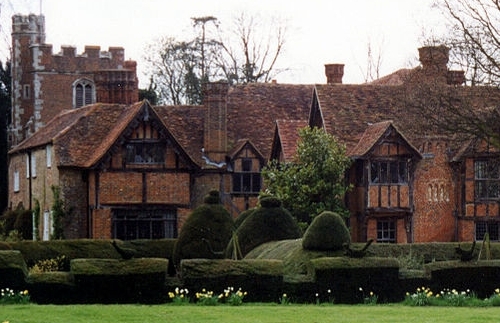 CHENIES MANOR HOUSE (Chenies) - Dates from the Tudor period. 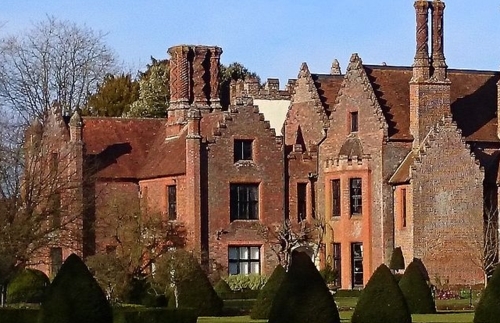 It was the home of the Earls of Bedford and was visited by both Henry VIII and Elizabeth I.
NETHER WINCHENDON HOUSE (Aylesbury) - Medieval/Tudor House with 18th century additions. ADLINGTON HALL (Nr Macclesfield) - Built between 1450-1505. 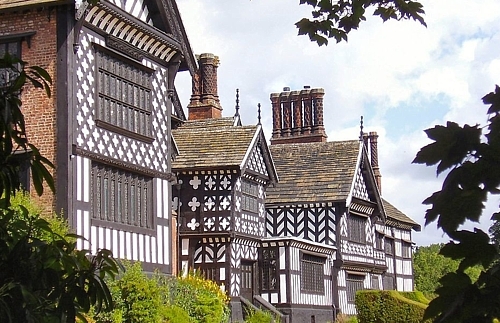 BRAMALL HALL (Bramhall, Stockport) - Magnificent Tudor manor house. 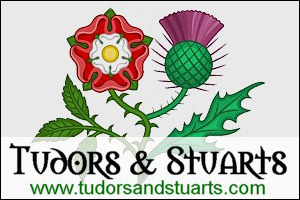 Contains Tudor wall paintings and Elizabethan fine plaster ceilings. Vast parkland with gardens and a lake. GAWSWORTH HALL (Macclesfield) - Tudor half-timber house with tilting ground. Home of Mary Fitton, Maid of Honour to Elizabeth I (supposed "Dark Lady" of Shakespeare's sonnets). LITTLE MORETON HALL (Congleton) - Regarded as the finest surviving timber-framed moated manor house in England.